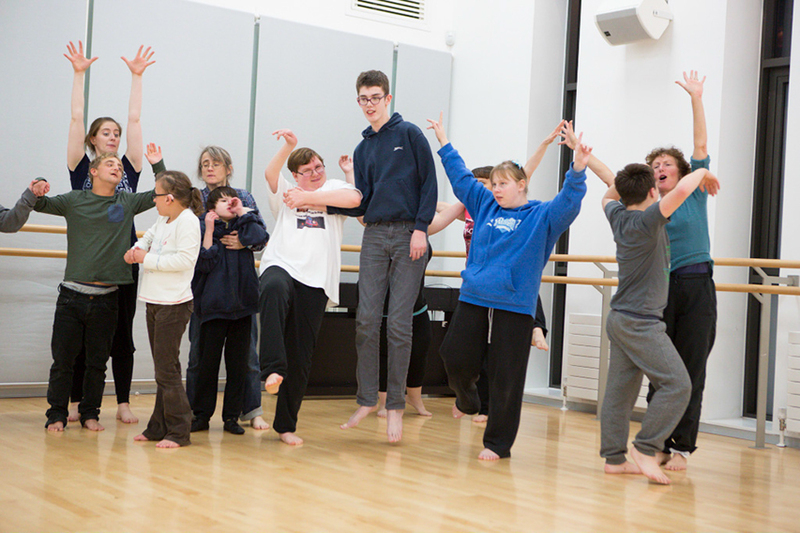 DanceEast’s Springboard classes for children and adults with additional needs are back this Autumn and will continue in the Spring season. Springboard for Tots will also be introduced, a class for children with additional needs aged 12 months and over. While encouraging movement and creativity, these classes are a wonderful way to make friends and improve motor skills. The Springboard participants have the chance to express themselves through movement, in an environment which allows them to be impulsive and uninhibited. Movement is a powerful way to channel and understand emotions, or just to let loose and have fun! These classes can help participants understand how to adapt to different circumstances while developing their creative, social and physical skills. Classes take place at the Jerwood DanceHouse every Monday and Tuesday, until the Christmas break, from Monday 30 October – Friday 15 December. Led by Lynnette King and Helen Foot, accompanied by DanceEast tutor assistants, this safe environment is perfect for participants to enjoy dancing by themselves whilst carers or parents can enjoy a cup of tea from our café and relax during the hour session. If personal care is required, carers are asked to attend; during Springboard for Tots classes parents or carers are asked to participate. The weekly sessions are ‘pay as you dance’. No commitment is required but the tutors love to see the positive progress of participants through the term. Term payments, with a discount, are also available. Take the DanceEast virtual tour to familiarise yourself with the DanceHouse layout before you arrive. This is ideal for those who might be anxious about going to new places and experiencing new environments. Every room and corridor that you might need to access is included in the virtual tour, so you can get an accurate idea of where you need to go, how you can get there and where the closest facilities are.